Your CV is likely to be your first introduction to all those looking to hire you. We will always go the extra mile to find top quality candidates for our clients. 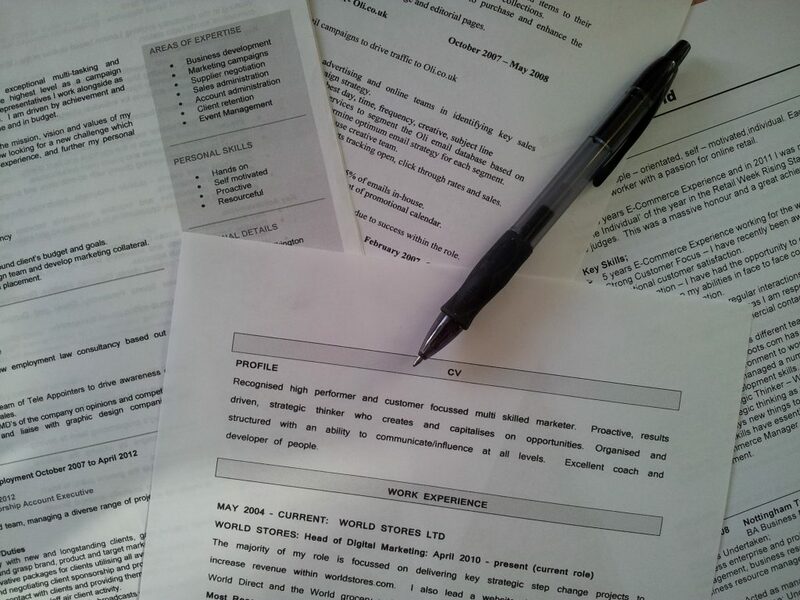 Your CV is your first introduction to a new employer. It will be the main deciding factor in whether or not you are called for interview, and it will likely be reviewed at no more than a glance. Make sure you make every second count. CV is the first step towards getting a job in today’s competitive world. First impression counts & is made even before you meet. The core purpose of your CV is to get you the interview. • Firstly, work on its structure: Is it professionally built? Have suitable headings to help recruiter spot the information they are looking out for. • Secondly, what’s the content – sentence structure, language & grammar used, highlighting achievements etc. • Recruiters take an average of 6 seconds to make their initial ‘fit/no fit” decision. • Try to use clear differentiators for each part of your CV – a simple line breaks the page up neatly and allows the reader to find specific areas quickly and easily. • Recruiters spend 80% of their time looking at 6 data points; name, current title/company, previous title/company, previous start date/end date, current start date/end date, and Education. • Help the reader to find those vital data points as quickly as possible. • Structure is vital; make sure that your CV is broken into clear sections with an obvious order. • Headers will be key to creating that clear structure. • Once you have a clear structure make sure your sections are marked with strong, clear headings that stand out from the rest of the text. • Don’t just make headers bold; alter the font size, underline or find another way to make sure it’s easy for a reader to skip to the section they want. • Cut down on distractions like photos, creative design choices or superfluous information. • Recruiters review your CV to see if you are a good fit for the role they have on offer. Make sure they can make that decision without having their eye drawn to something irrelevant to the role. • After recruiters review the key data points on your CV, they scan for keywords. • What they are looking for here is evidence, beyond education and experience, that you are a good candidate for the role. They are scanning for success and achievement. • Make sure that you highlight and sell your achievements on the CV. • Where possible include figures to back up these achievements. • Always go from most recent work experience and work backwards; – Put work experience first and qualifications last. • Make sure you highlight the experience you have for the job you are applying for. • Don’t use long wordy sentences – short, sharp and clear sentences are best so someone can see at a glance what experience you have had and what qualifications you have. Tiny print and lots and lots of words aren’t well received. • Keep it short, clear, easy to read and the experience you have relevant to the job you are applying for must stand out. Anything else that makes you a bit different is definitely worth highlighting! Key Skills: Use (2-3) bullet points & explain how you used that skill. Make sure your CV is achievement orientated. An employer will reject your CV if the structure is poor.